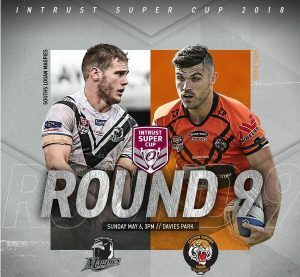 Both sides are coming into this game with Round 8 losses – the Tigers in a close one against Norths, while the Magpies were outplayed by Townsville in their 38-14 defeat. Easts will be aiming to continue their winning away run over the Magpies at their home of Davies Park, having claimed five of the past six games played there. However, the Magpies are in good form at home this season and have won four of their past five games played at the West End ground. There are a number of stars set to return for Easts this weekend, with Scott Drinkwater and Billy Walters providing a boost to the line-up. The Tigers have not lost consecutive away games since 2016 and will aim to keep it that way on Sunday. They lost their last away game back in Round 7, going down to a resurgent Tweed Heads Seagulls.